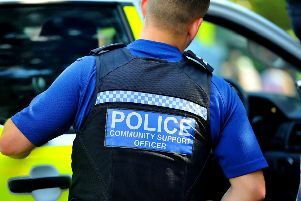 Police are warning businesses to take care after a number of charity box thefts across East Sussex. Officers are advising premises to keep them as secure as possible after a marked increase in the crime. A spokesperson for Sussex Police said, “Businesses, please be aware of walk in charity box thieves! We have had several reports of charity boxes being stolen from businesses throughout East Sussex. If you saw or heard anything, or have any information about the below message contact police online here, email 101@sussex.pnn.police.uk or call 101, quoting the reference number provided.